Proper estate planning can be an uncomfortable process, but it is essential when considering the future of your property and assets. When you plan your estate, you will be asked to consider what will happen to your property, how your assets will be distributed, and even what you would like to happen should you become mentally or physically incapacitated. With the help of an estate planning lawyer, you can outline all of your wishes for your family, providing them with concrete guidance during a difficult time in their own lives and eliminating the stress of guessing what they should do. These estate planning documents are essential for creating a comprehensive set of directives. When most people think of estate planning, they immediately think of a last will and testament. This document outlines your wishes in regards to your most important assets. This can include your children, particularly if you would like them to be cared for by a specific person. A last will can also outline your burial requests, provide financial resources for your children and spouse, and appoint someone who will be responsible for completing these requests. By creating a last will, you help your family avoid disputes and other legal decisions that would need to be undertaken if you were to die without a will. It can also help them save money. Without a will, a public trustee will be appointed to distribute your assets and make decisions, costing money and potentially resulting in decisions that go against your wishes. A living will dictates what you would like to happen in regards to your medical treatment if you are unable to communicate those wishes yourself. As a result, you are able to retain control of your health and medical care before you ever need to worry about it. A living will ensures that your wishes will be clearly articulated and followed, even if you are unable to express them, and provides medical professionals and your family clear guidance. This can help prevent arguments about your care and reduce the cost of it if you choose to forego life support. While a living will outlines what should happen to you if you should fall ill, financial power of attorney dictates what should happen to your finances in the same situation. It appoints a trusted person to make decisions for you and manage your finances if you are unable to do so. This person is able to manage property, conduct financial transactions, and make financial decisions in accordance with your wishes and within whatever restrictions you set. These decisions and actions can only be made while you are still living. 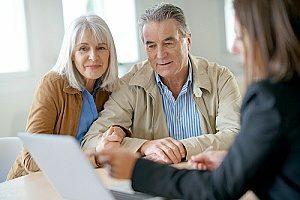 Assigning someone with financial power of attorney ensures that your money and property will be protected and managed according to your desires, allowing your businesses and other investments to remain strong and continue generating income that can meet your financial debts and help your family remain financially stable. A living trust is a document that further outlines what happens to your property after your death and can confer some significant benefits to your surviving family. While it is not always necessary, it can provide additional peace of mind and support. A trust can help reduce estate taxes and hold money for both minor and adult children until such time as you deem appropriate. It can also ensure that specific assets stay within your family in the event of future marriages and divorces. Assets discussed in your living trust can be protected from probate court, and because the document is a private one, it will never become part of the public record. Trusts can be used alone or in conjunction with a last will to protect your most precious assets. When you take out a life insurance policy or start a retirement account, you may be asked to name a beneficiary to receive these assets upon your death. The choices you make on these documents take precedence over instructions left in a will, and it’s important to carefully consider your options on these forms. 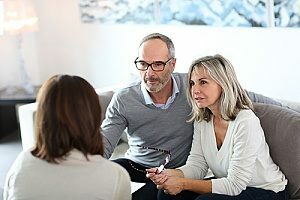 They should be stored along with your other estate planning documents and shared with your estate planning attorney to ensure that the right people receive financial support. Hiring an estate planning lawyer to help you during the planning process can ensure that all of your documents are prepared accurately and according to the law. Your assets will be protected and distributed properly, helping your family avoid legal disputes and confusion after your death. Speak to the estate planning lawyers at OFP Law for more information. 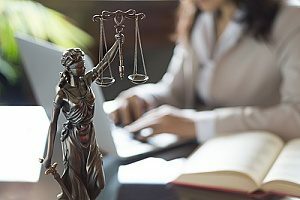 The firm’s attorneys, many of whom are certified public accountants, use their financial expertise to create custom advice and planning strategies for each client’s needs. OFP Law’s estate planning group can assist with business succession planning, charitable planning, family businesses, medical directives, lifetime gifting strategies, powers of attorney, trusts, and wills.